Microsemi, which is now a wholly-owned subsidiary of Microchip Technology, introduced its Flashtec NVMe 3016 Gen 4 PCIe controller. The device serves high-reliability, high-performance PCIe Gen 4 NVMe solid state drives (SSDs) and is capable of delivering greater than 8 GB per second throughput and more than 2 million IOPS. It supports enterprise features going beyond the NVMe 1.3 protocol with the latest in security, encryption, virtualization and high availability support. Fast design of PCIe Gen 4 NVMe SSDs is enabled with Flashtec firmware development acceleration tools, including an architectural simulator to enable development and debug of firmware independent of silicon. 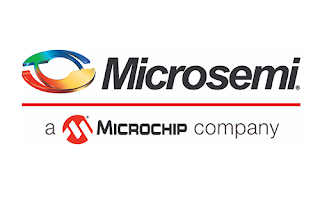 Microsemi notes triple level-cell (TLC) and quad level-cell (QLC) NAND technologies targeted at the high growth storage end point markets, such as data center, server and storage. "We're excited to sample our new Flashtec NVMe 3016 controller to enable the next generation of high-performance PCIe Gen 4 NVMe SSDs," said Pete Hazen, vice president of Microsemi's Data Center Solutions business unit. "We're working closely with our customers to enable industry-leading solutions based on our highly flexible and programmable controller platform, and to accelerate time to market through our architectural and firmware development tools and support." Audi is evaluating 5G as a future-proof communication technology that can meet the high demands of automotive production. Audi and Ericsson have signed a Memorandum of Understanding (MoU) and in the coming months, experts from both companies will run field tests in a technical center of the “Audi Production Lab” in Gaimersheim, Germany. Microsoft announced instance size flexibility for Azure Reserved Virtual Machine Instances, a new feature that makes reserved instance purchasing and management even simpler by applying reservation discounts to different This means users no longer have to deploy the exact same VM size to get the benefit of purchased Azure Reserved Instances (RI) as other VM sizes within the same VM group also get the RI discount. 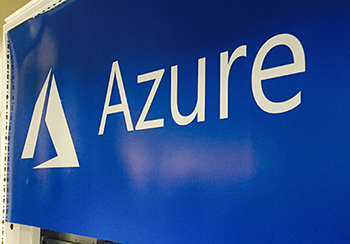 Instance size flexibility will be enabled by default for any existing Azure Reserved Instance with shared scope.